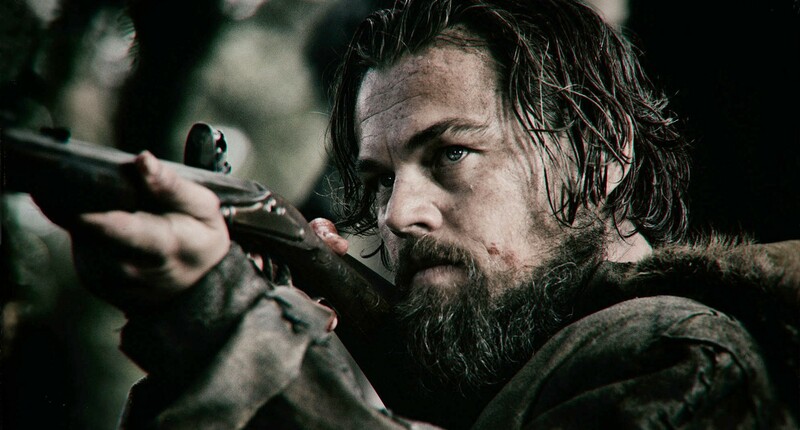 2016 Oscar®-Winner The Revenant Gets Home Video Release Dates! Last night The Revenant won three major Oscars®; today Twentieth Century Fox Home Entertainment has announced that the film will get a Digital HD home video release on March 22nd – followed by 4K Ultra HD Disk, Blu-ray and DVD release on April 19th. It’s The 2016 Oscars® Nominations! The Oscar® nominations were announced this morning and the Academy of Film Arts & Sciences did their usual job of mixing brilliant choices and WTF ones. Most were easy to see coming – The Martian and The Revenant picking up multiple noms; Stars Wars: The Force Awakens getting only a couple of tech nods – but in a year with so many great movies, how is it that there are only eight nominations for Best Picture? That makes no sense at all – I could name a handful of movies that would be as good as, or better than the official selections. In terms of numbers, The Revenant led with 12 nominations, with Mad Max: Fury Road grabbing ten. So! The Academy has spoken. For the complete (with occasional commentary) follow the jump. Chris Rock will host the the 88th Academy Awards, live on ABC, on Sunday, February 24th. The Revenant – Elegantly Brutal Western Revenge Tale! Revenant: 2.A person or thing reborn (Wiktionary). Alejandro G. Iñárritu’s The Revenant is adapted from a novel that was based on real events, so it comes by its PR as ‘inspired by true events’ the long way round – but that does not lessen its impact. The Revenant is a riveting tale of brutal survival and the desire for revenge. It is elegantly shot but the violence is brutal and the obstacles unrelenting. It may get Leonardo DiCaprio his long-deserved Oscar® – and it might give cinematographer Emmanuel Lubezki a shot at his third consecutive Oscar®. Why I Ain’t Afraid To Die Trailer: The Revenant! How do you follow up an Oscar®-winning masterpiece? Alejandro G. Iñárritu has chosen to go from the cold of space, to the cold of the far north and from the realm of science fiction, to a few centuries into the past. The Revenant is a tale of the one dish that’s best served cold: revenge. Iñárritu’s The Revenant stars Leonardo DiCaprio, Tom Hardy, Domhnall Gleeson and Will Poulter. It will open on December 25th. Check out the trailer after the jump. Snow and Fire Trailer: The Revenant! How do you follow up winning an Oscar® for sci-fi masterpiece Birdman? If you’re Alejandro G. Iñárritu, you go into the past to tell the story legendary explorer Hugh Glass – and his survival following an attack by a bear and betrayal by his most trusted confidant, John Fitzgerald. In short, you make The Revenant – with a cast that includes Leonardo DiCaprio, Tom Hardy, Domhnall Gleesaon and Will Poulter – in some of the most trying conditions ever. The Revenant opens on Christmas Day. Follow the jump to check out the first trailer.